In recent years, numerous security reports have identified an increasing trend for intrusions affecting Point of Sale (POS) environments to have involved insecure remote access from service providers and their networks. As the ENISA points out, criminals are turning to network-based attacks against retailers’ POS infrastructure because attacks requiring physical access to POS systems (such as skimming) are not scalable. Criminals look for poorly secured and easily exploited remote entry points into merchants’ POS systems. As a result, industry experts recommend that all businesses ask the right questions of their third party management vendors about their security practices and cite strengthening authentication and limiting remote access into POS environments is essential. The card brands too have recognised the POS remote access threat. Alerts and guidance have been published to warn merchants of the risk associated with insecure remote access methods that may be enabled and used by their third party support providers, POS vendors, integrators or resellers. On the back of this growing threat, the Payment Card Industry Security Standards Council (PCI SSC) has published new guidance on ‘Connected-to Service Providers’ to help both service providers and their customers (including merchants, other service providers and other entities that rely on and allow remote access by those third-parties) understand and securely manage their remote network connections. The term ‘connected-to service providers’ refers to service providers with the ability to remotely access a customer system which is on the same network as, or has access to, the customer’s Cardholder Data Environment (CDE). Types of service providers with remote access to customer systems can include those managing retailers’ logical and physical devices such as firewalls, routers and switches, those supporting and maintaining POS systems and applications running on them, as well as hosting or storage providers and IT support providers. ‘Connected to service providers’ may include those with direct remote access to CDE systems and those using remote access to manage or support their customer’s PCI DSS controls (such as access control systems). It can also include those service providers whose need for remote access to their customer is unrelated to payments processing or card data but whose access could impact the security of the customer CDE if it is improperly configured and compromised. 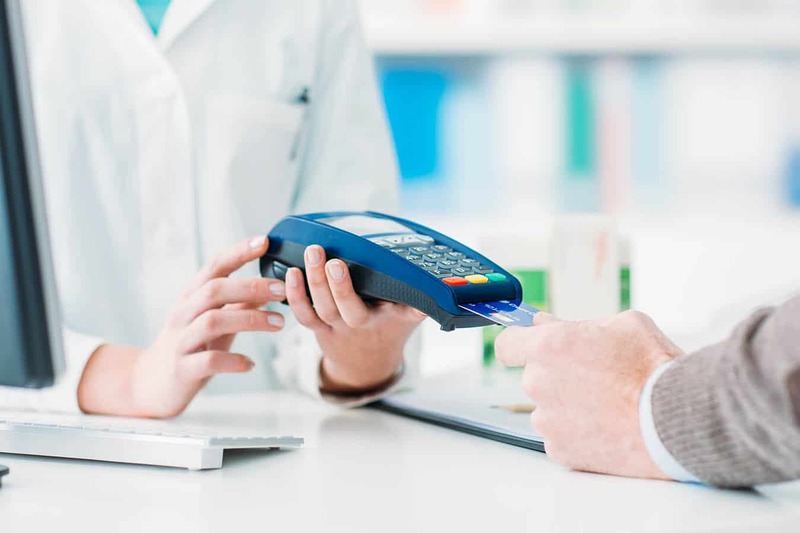 Whatever the reason, if not properly set-up and managed any third-party service providers’ remote access could be a route into, and can introduce risk to, the customer CDE and to payment card data. Incorrectly configured POS systems which have a public IP address making them directly accessible from the Internet. Questioning whether the service provider itself outsources functions to other service providers who will access the customer’s CDE. Requesting the service provider enters into a written agreement, that they will ensure that all systems used to access the customer’s CDE will be kept up to date with software patches and anti virus, that systems will be securely configured, with appropriate access controls including multifactor authentication and that audit logging and monitoring controls are in place. Requesting remediation activity following findings from penetration tests and vulnerability scanning and evidence of their remediation and subsequent re-testing. All service providers that can access or connect to the customer’s CDE or have the ability to impact the security of the CDE are in scope and should comply with PCI DSS. Service providers can formally validate themselves against PCI DSS or can be included within the scope of their customer’s compliance assessment. Customer’s must manage and monitor their service providers’ PCI DSS compliance. For service providers who undergo their own annual self assessment of PCI DSS compliance, request a copy of their Attestation of Compliance (AoC) or relevant sections of the service provider’s redacted Report on Compliance (RoC) and ensure that the services detailed are those which are provided to the merchant. In addition to the PCI DSS requirements that apply to the Connected-to Service Providers’ remote access connections, additional PCI DSS requirements may applicable depending on the type of service being provided. Service providers and their customers should work together to identify and determine responsibility for fulfilment of those additional requirements. See ‘Use of Third-Party Service Providers / Outsourcing’ section of PCI DSS v3.2. Further, a Sysnet article detailing the requirement for service provider compliance. This article covers the requirements of PCI DSS as well as the service provider registration and reporting requirements with the Card Schemes (Visa Europe, Visa International, Mastercard and American Express). If your organisation requires to reach out to your customers, then we can help. Our highly competitive customer engagement services are fully-scalable, on-demand and utilise the latest technology. Plus, our services are white-labelled so that your customers perceive that they are dealing directly with your organisation. For more information on how Sysnet’s Envoy services can assist your organisation, click on the button below and we’ll be in touch. This entry was posted in Blog and tagged CDE, Envoy, PCI DSS, PCI SSC, POS, Sysnet Global Solutions.